In 1919, as Europe emerged from the First World War, travel moved into the forefront of people’s minds. Buoyed up on the new technologies of the day, the forerunner of BA, Aircraft Transport and Travel (AT&T), launched the world's first daily international scheduled air service. It offered a service from London to Paris and ushered in the modern age of air travel. Within 5 years there were already a handful of start-up airlines offering their services in Britain. In March 1924, the four best known of these: Handley Page, Instone, AT&T, and British Air Marine Navigation merged into one larger company called Imperial Airways and offered flights around the British Empire. As Imperial Airways grew in size, it became a forerunner of a modern airline, offering flights to countries all across the world including Canada and Australia, and competed effectively with the Airships that dominated the era. In 1935, a rival arrived on the scene. British Airways Ltd was formed from a number of small privately owned companies and quickly developed into a company of similar size. 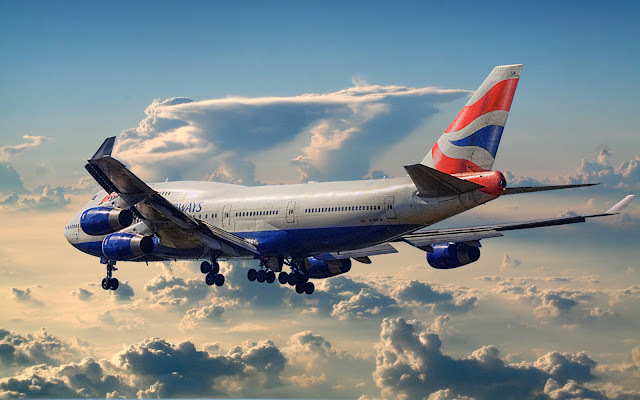 By 1939, just before the Second World War broke out, the British Government nationalized the two airlines and created a new, government-owned agency known as the British Overseas Airways Corporation or BOAC for short. The final stage in these early decades of BA came in 1949 when BOAC was separated into two separate entities: British European Airways, which carried out short-haul flights into Europe, and BOAC, which continued to serve the rest of the world. These two siblings served the world at the beginning of the jet age in the 1950s and became iconic leaders of British innovation. By the 1970s, fuel costs and industrial concerns over economy saw the government of the day decides that the two companies had become bloated and inefficient and by 1974, after a 4 year process, the two companies came together as one: British Airways, just in time for the birth of the supersonic age with the Concorde in 1976.